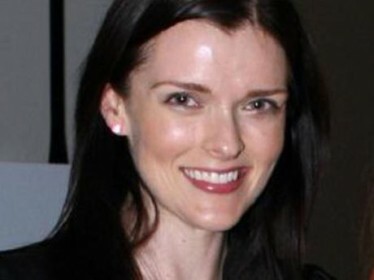 It appears the fallout from Seven’s now infamous affair between its CEO, Tim Worner, and then employee, Amber Harrison, has plenty of grubby distance to run if today’s new allegations are anything to be believed. Harrison has used social media to attack the network since an independent enquiry, released last Friday, found Worner had no case to answer in relation to allegations he had multiple affairs with Seven employees and used cocaine. On Tuesday, Harrison tweeted out personal letters from Worner and taxi receipts that appeared to suggest she’d traveled to the CEO’s home late at night. Harrison’s latest attempt to discredit the network – reported on Fairfax Media sites – involves the release of internal emails relating to an incident at the network in February 2014. Australian Federal Police (AFP) raided its Sydney offices after allegations it had paid a substantial sum to the Corby family for an interview with Schapelle Corby who had just been released from a Bali prison following nine years for a drug conviction. The deal – that was never substantiated – would have contravened laws relating to the proceeds of crime. The release of the latest emails appears to suggest two things – Harrison wants to show the Seven board as duplicitous and she has a stash of material she’s prepared to slowly release to discredit them. 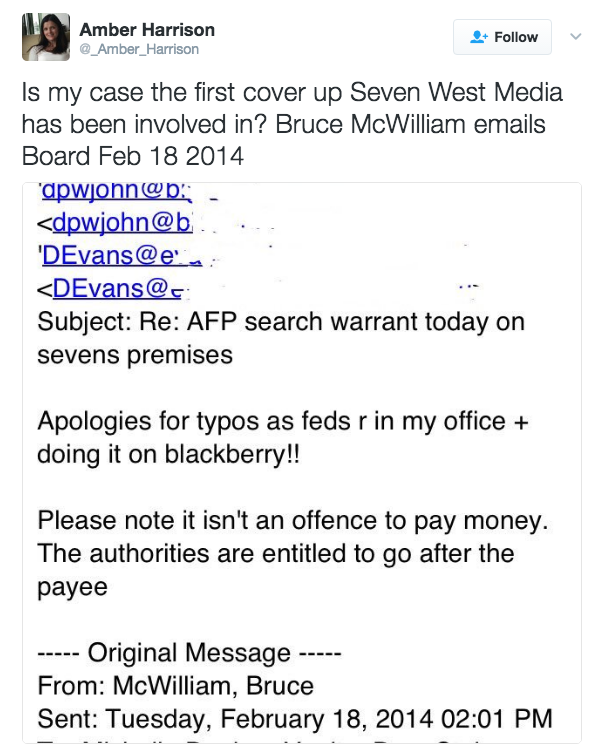 Back in 2014, Channel Seven successfully sued the AFP over the raid and were cleared of any wrongdoing relating to its dealings with the Corbys. Interviews with Schapelle appeared on its current affairs program Sunday Night and in the Seven West-owned New Idea magazine. 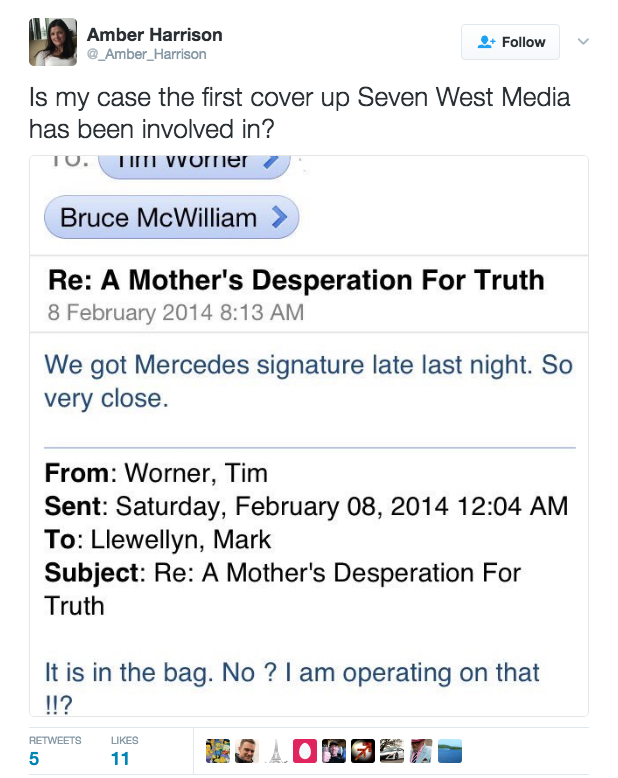 The copy of the email below shows correspondence between Worner and Sunday Night executive producer Mark Llewellyn showing they “got Mercedes” (Schapelle’s sister who often acted as the family spokesperson and negotiated deals); however, it does not infer money was paid to Schapelle herself (which would’ve been illegal). Interestingly, Mercedes successfully sued Seven in 2008 after she was defamed by Today Tonight.